beautiful mounds with hundreds of small heads. Right: Noon the flowers are completely open. Flowers outdoors in the rock garden! Winter temps down to -25° C, wet and snow are not a problem. 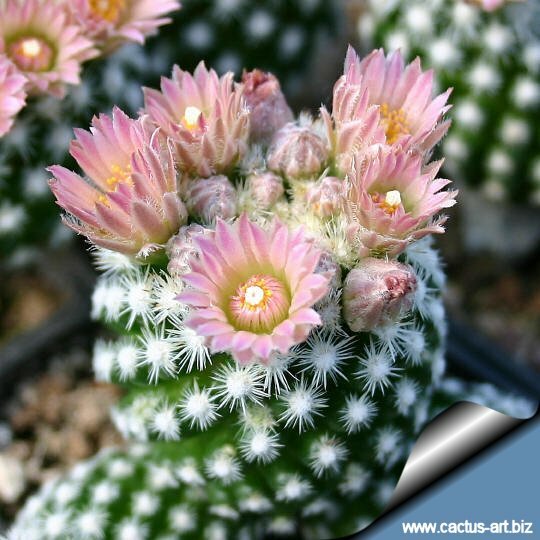 Cultivation: It comes from an area of summer rainfall; keep drier in winter (but for outdoors cultivation it is very resistant to wet conditions, too). Very cold resistant, Itcan easily be grown outdoors in areas with minimum winter temperatures of - 25°. Needs full sun to light shade. 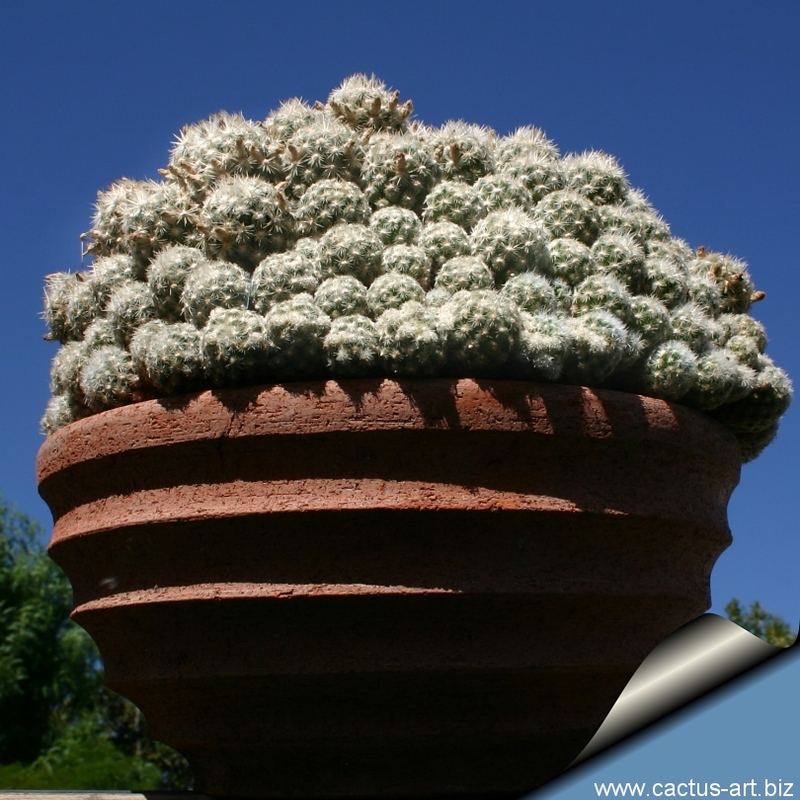 Propagation: Seeds (no dormancy requirement, they germinate best at 25°C) or usually by offsets (readily available), or occasionally grafted. 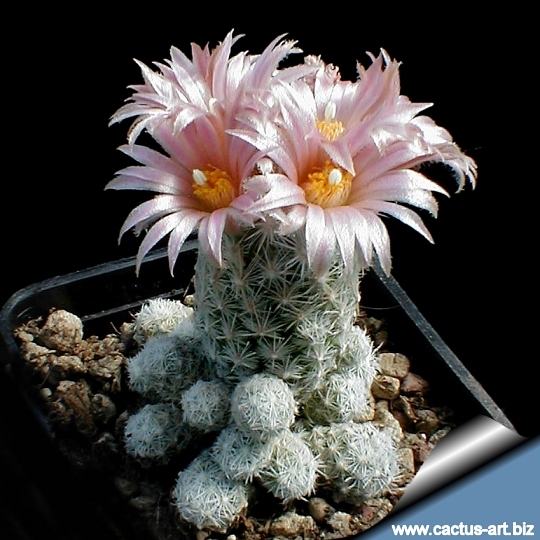 Type: The type specimen is at the U.S. National Herbarium (U.S. # 72134). The type locality "Rattlesnake Canyon 30 miles southwest of Carlsbad at an elevation of 5500 ft W.T. Lee, 1927"
Threatened This species is quite frequent in its very small area of distribution. 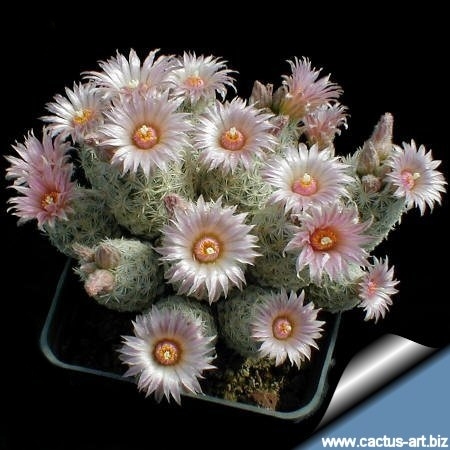 It is popular with collectors and has been subject to commercial collecting in the past, but is now propagated commercially on a large scale and is readily available and very common. The subspecies "leei" Has been named after "Willis T. Lee" (a famous geologist sent on the National Geographic expeditions in the 1920s to assess Carlsbad Cavern for national park status) who first collected this plant in 1925. 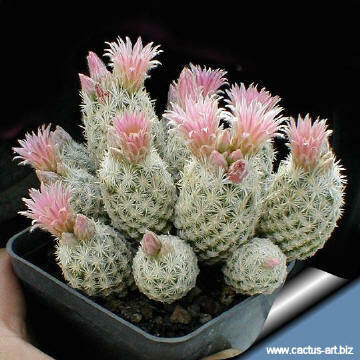 Description: Grows in dense clusters with as many as 100 or more stems in a clump. 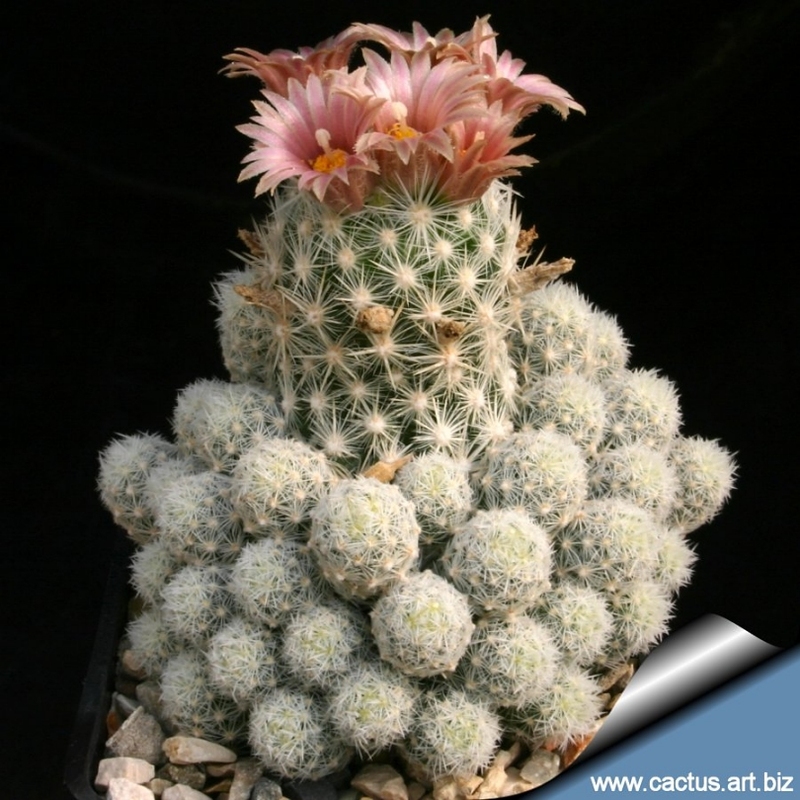 Stem: Each individual stem is 1.5-6(8)cm tall and 1-2,5 cm in diameter. Tubercles: Cylindrical 5 mm long; On mature stems with upper surface grooved. 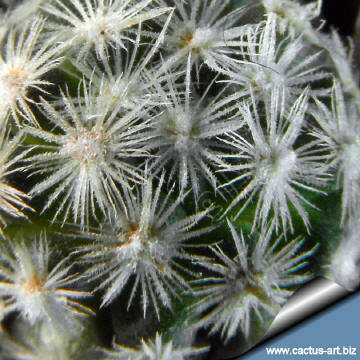 Spines: 30 to 90 very small radials, typically white often brown at tip, fading to grey, slender and bristle-like, mostly about 1-2.5 mm long, radiating from areole and appressed against plant, sometimes with one to few short porrect centrals. Seeds: About 0.8-1mm long and 1.5 mm broad, kidney-shaped, pitted, dark brown, with hilum lateral. Notes: The subspecies leei differs from other Escobaria in densely its clumping habit, small stem size, and tightly, almost pectinate, spination. The wild population intergrades with other forms of E. sneedii in the Guadalupe Mountains. This is apparently a neotenic variety of the species in which juvenile spination is retained throughout the life of the plant. This species is closely related to E. sneedii var. 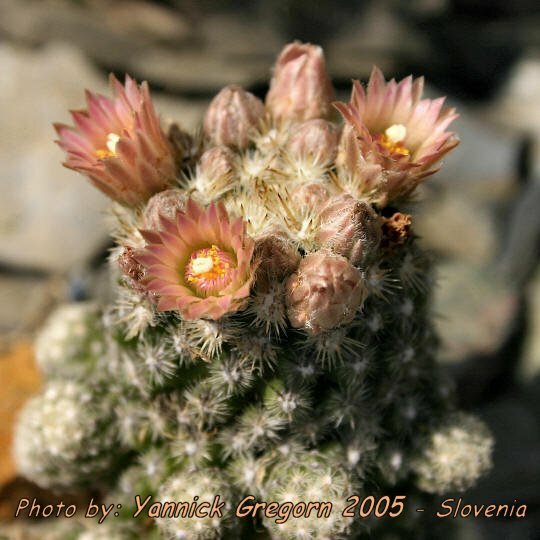 sneedii from which it differs by having deflexed spines, rather than spreading ones, brownish - pink flowers as opposed to rose-magenta ones, and seeds 1 mm long as opposed to 0.75 mm in length (01,02,05). 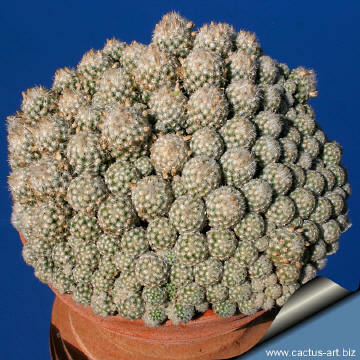 In cultivation the Escobaria sneedii v. leei will form beautiful large mounds with hundreds of small heads.